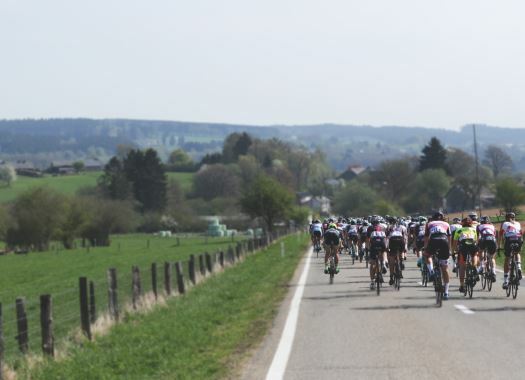 The short news of the day includes signings of Lotto-Soudal and BMC Racing Team/Continuum Sports, as well as the Swiss selection for the World Championships. The Dutchman will reinforce the Belgian team for the next two seasons. Van Goethem comes from Roompot-Nederlandse Loterij, where he has been for the past four seasons. "Being part of a WorldTour team is the highest achievable goal for every rider," he commented. "So, I am definitely looking forward to next season. After having raced at a pro continental level for four years, I am ready to make the step towards the WorldTour. Certainly, if I can achieve this with one of the longest existing teams in professional cycling. At a certain moment, you must make a choice as a cyclist and that moment emerged this season. When Lotto Soudal noticed my performances, I didn’t have to think twice to take the step and move to this team." The Italian rider makes the move from Wilier Triestina, where he spent the last five seasons and arrives at the currently known as BMC Racing Team to strengthen the sprints part of the squad. "At 24-years-old, Jakub Mareczko is an up-and-coming sprint talent and we are excited to welcome him to Continuum Sports," said the team's General Manager Jim Ochowicz. "With 35 career wins to his name, Jakub has already recorded an impressive palmarès while racing at the Professional Continental level so we look forward to helping him develop further and achieve his first WorldTour win in the near future. Jakub has had some near misses at the Giro d'Italia, with three second places in the last two editions, against some of the best sprinters in the World so it is clear he has a lot of talent." The Swiss line-up for the upcoming World Championships of Innsbruck has been announced. Riders that belong to WorldTour teams will headline for the road race and the time trial. Men's road race: Mathias Frank, Kilian Frankiny, Steve Morabito, Sébastien Reichenbach, Michael Schär, Patrick Schelling.